I spent a fair chunk of the year reading House of Leaves. And it’s very good. It is one of the more challenging books I have read, not in terms of story, or narrative, but actual physical structure, which coincide with the story and narrative. The core of the story is this, a family buys a house and there is more to the house, with doors appearing, and behind those doors hallways and beyond those hallways rooms, both volumes and small. Everything is pitch black inside and these internal structures are in constant flux. Members of the family obsess over the house and the mystery in different ways. All of their actions and reactions are captured on film and photo, and most of their story is told in a shell narrative of commentary about the footage itself. Johnny Truant, is a wannabe tattoo artist, who stumbles upon the trunk of notes that Zampanó left behind. When he begins editing them, he finds his sense of reality unravelling. This is described in lengthy “footnotes” littered throughout the book, often interrupting the passage of the next shell down. Like other post-modern literature, there are numerous footnotes, most, if not all, fictitious, referencing the sources of the analysis and over-analysis of the core events of the story. And the structure, along with this narrative shell-game, has the passages of text arrange in all forms from changing the margins, direction of text and others like concrete poetry. The core story is presented as a found footage story as the family copes with the house and the presence of something inhuman. There are points which present this book as a horror novel, as most found-footage media tends toward. But framed in the secondary narrative of the critical analyse, tends to take some of the edge off the horror aspects, since these analyses have set-ups for future events. The most horrific aspects of the book happen about halfway through. Johnny Truant’s aspect of the story is interesting, but the unreliable narrator parts of his extensive, and sometimes exhausting, footnotes also distract away from the this core. This is still a really, really good book. Danielewski writes excellent flowing prose, you almost believe its reality in points. He enters in minutiae of technical details when it comes to camera equipment, literary and scientific references, both real and false. And then when it comes to describing the events of the house and the structures explored, a lot of it is left broad, lending to the imagination of the reader. And it is these aspects I enjoyed the most. The book is a challenge to read, you have to be in the right frame of mind to read it, not just for the switching between perspectives, but for the layout, the structure, quickly transferring between the layers of the book. It is extremely rare to find a books of its like. It often belongs to the realm of difficult reads, like Ulysses or Infinite Jest. But do not read it for the challenge alone, read for the dense story. 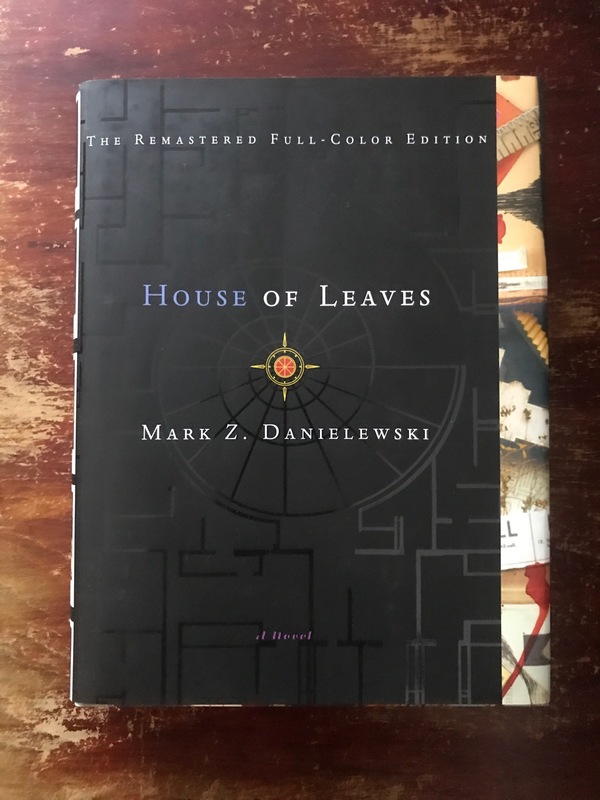 This entry was posted in books and tagged books, house of leaves, mark z. danielewski. Bookmark the permalink.